You have many adoption options, and this is the perfect place to begin exploring them. Below, you’ll find Tennessee adoption laws and policies and find adoption agencies and attorneys who work with families in Tennessee. Each state maintains its own adoption policies, so the process can vary considerably for families in different states. As a Tennessee resident, you’ll want to work with an adoption agency or adoption attorney who is very familiar with Tennessee adoption laws and policies. Below, you’ll find adoption agencies and adoption lawyers offering services to Tennessee families. Scroll past the listings to learn all about the legal guidelines for families adopting in Tennessee whether you’re adopting a newborn through domestic adoption, an infant or older child from U.S. foster care adoption, or a child through international adoption. Who Can Adopt in Tennessee? An individual 18 years or older who has lived in Tennessee for 6 consecutive months before petitioning to adopt, a married couple jointly (unless one spouse is determined incompetent), a member of the military service stationed outside the state, but who lived in Tennessee for 6 consecutive months immediately before entering the military service, or a relative of the child who need only have been a Tennessee resident at the time of filing a petition to adopt. Can adopting parents use an adoption facilitator or another paid intermediary? Yes, but only the State Dept. or a licensed child-placing agency or licensed clinical social worker may place a child. Anyone else can advise during the adoption process, but payment is prohibited unless it is to cover customary legal and/or medical fees. What birth parent expenses may be paid, and in what time period? Medical, legal, counseling, living (housing, maternity and baby clothing, utilities, transportation). Educational and car payments prohibited. Max 90 days pre-birth, 45 days after birth or surrender. Court may extend times upon motion and birth parent/adoptive parents affidavits. When can consent to adoption be granted? Three days after birth (not including day of child’s birth). When does consent become irrevocable? If consent is revoked, is return to birth parent automatic? 10 days after consent, unless 10th day is a weekend or holiday, and then period extends to next business day. Return automatic unless petition is filed showing that child is at risk of substantial harm to be returned to custody of birth parents. Can parents readopt in this state? Is it mandatory? Adopting parents who reside in Tennessee may petition to readopt with a chancery clerk or circuit court in their county as long as the foreign adoption followed due process of law and the petition includes a copy of the adoption decree and proof of the adoption from the U.S. Government. When will a U.S. birth certificate be issued? 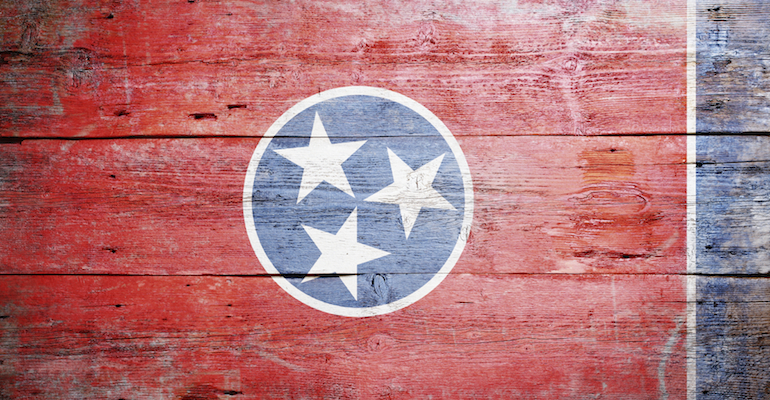 The State Registrar will issue a foreign birth report for child with adopting parents who reside in Tennessee when a Tennessee court of competent jurisdiction receives all necessary adoption paperwork. Are adoption subsidies available? When do they start and how long do they last? Yes, subsidies are available for a special needs child, who is defined as having at least one of the following: 9 years or older if Caucasian, 2 years or older if of minority background, member of a sibling group of 2 or more children being placed together, has a professionally diagnosed medical, physical, or psychological condition that requires treatment, has a court record of neglect or physical or sexual abuse, or has been in Tennessee Dept. of Children’s Services for 3 or more years. In addition, the child must be in the custody of the Tennessee Dept. of Children’s Services or a public or non-profit state-licensed child-placing agency immediately before placement.